As an esteemed name in the concerned industry, we are engaged in offering a qualitative range of Fire Alarm which is used in offices, museums, buildings, our offered fire alarm is designed using high grade metal and leading technology. 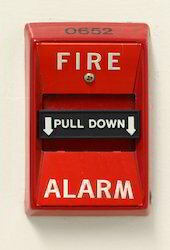 Also, this fire alarm is broadly valued by our patrons for their several features. 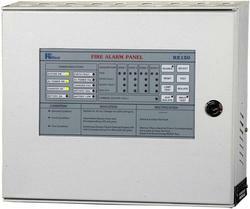 We also provide this fire alarm in customized options as per the needs of our patrons. Riding on unfathomable volumes of industrial expertise, we are presenting an exclusive array of Conventional Fire Alarm Panel. Provided in user friendly designs, Our vendor’s professionals are assisted by advance technology for designing these alarm panels. The offered alarm panels are in great demand in the market for their shear strength and resistance against corrosion. Our vendor’s quality controllers check these alarm panels on quality provisions to deliver the flawless supplies at patrons end.